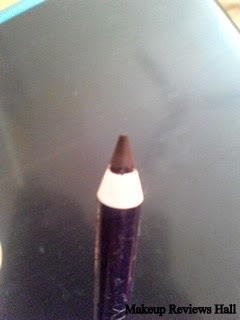 I have already reviewed and compared Oriflame Beauty Eye Intensity Kajal Pencil in Black HERE in Best Kajal Review. 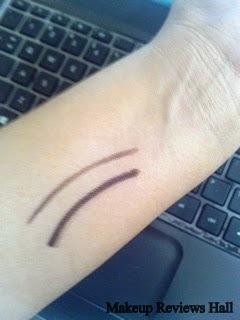 Now I have this Oriflame Kajal Pencil in Chesnut Brown which I am going to review and compare it with the black one. I am a very regular user f these Oriflame Eye Intensity Kajal Pencils. I have already finished two Oriflame Kajal Eye Pencils in Black and now I bought this in Chesnut Brown because I wanted to try this in some different colour and since I have brown eyes, I thought of giving this a try. 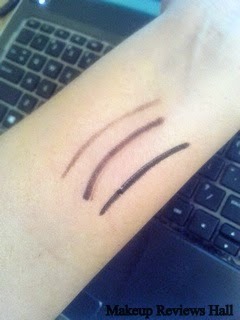 The best thing about these Oriflame Kajal Pencils is that these smudge very less. Yes these are actually one of best smudge free pencil available in India. I have used almost all kajals, eye pencils and most of the time I return to this. Though I use two other kajals i.e Maybelline Colossal Kajal ( check Review HERE) and Faces Kajal, along with this Oriflame Eye Pencil, because most of the kajals don’t suit my sensitive watery eyes. I always used this Oriflame Kajal Pencil in black while going to office because it gave me rich dark look and did not smudge for whole day even in hot summers. If at all it did, it was very minimal. I told the you best thing about this Oriflame Beauty Eye Intensity Kajal Pencil, now coming to its worst part, its very difficult to clean and requires a lot of effort. Infact no matter how much clean, you get up with dark circles the next day. This because this kajal pencil in black is so dark that the left amount of it creates a mess overnight. This happens when I clean them just with water but when I use Biotique Makeup Remover (check review HERE), I am able to clean it up almost completely. But I don’t like using makeup remover everyday and use water only. Inspite of this clean up issue, I still love this Oriflame Kajal Pencil a lot because it gives a beautiful kajal effect on my sensitive eyes. So this time I bought this in brown color and have been completely satisfied with it. Its almost similar to the black one except in one or two things. This Oriflame Eye intensity Kajal Pencil in brown is also smudge free and keeps eye beautiful for hours. The only difference between the black and the brown is that black pencil gives a rich dark black look effortlessly in just one swipe but brown pencil requires a little effort to look rich because its not that dark. Take a look at the swatch below, the lighter one is the swatch of this Oriflame Kajal pencil in Chesnut Brown without effort and darker one is with effort and pressure which is not so easy to apply on eyes. 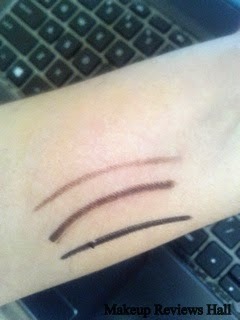 Here is the swatch of the Oriflame Eye Pencil in Black below the brown swatches for the comparison purpose. Also it not such a mess to clean this Oriflame Brown Kajal pencil. Overall I like this Oriflame Beauty Eye Intensity Kajal Pencil both in Black and Brown colour but will use Black for parties for that dark rich look and brown for daily use. Pretty nice quality, does not break off easily. I prefer smudge free Kajal and now that I've read about Oriflame, I shall look out over here. But somehow this brand has slowly vanished from our market. Btw, following you on blogger and liked your fb page. Appreciate if you do the same. Thanks so much.